← Happy 1st Birthday, Alice! And I told the kids we should just sleep all day long and not do anything, but they insisted on getting up and having fun and stuff, so we did that instead. 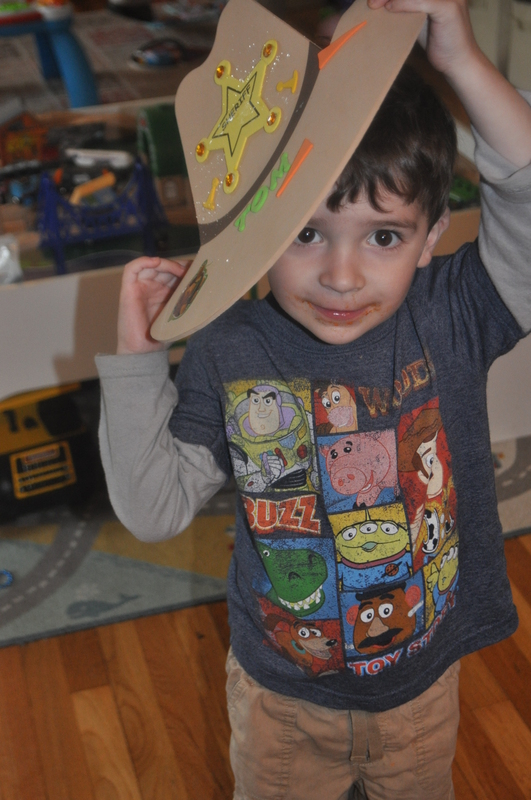 Tom went to a Toy Story-themed birthday party and made himself a sheriff’s hat. Don’t mess with this man! 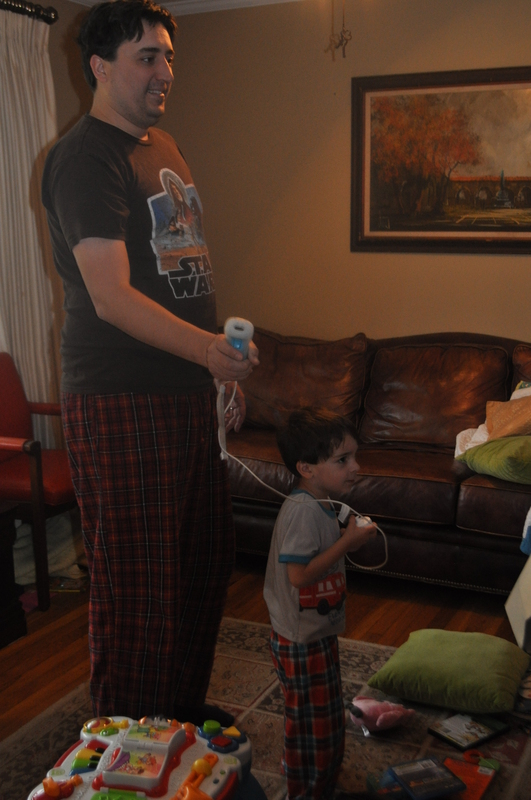 And then Kevin taught him how to play a video game in which he learned to chop things up with a sword. I’m sure that won’t come back to haunt us at all. Oh my. 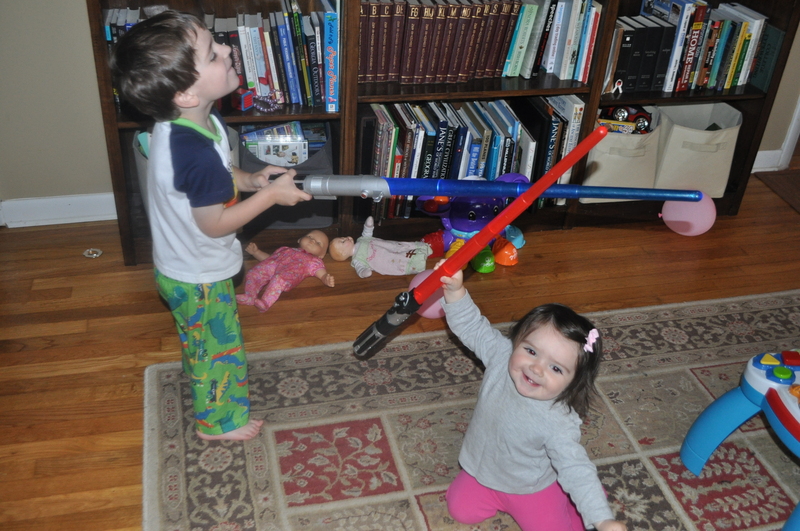 My baby can now hold her own lightsaber. 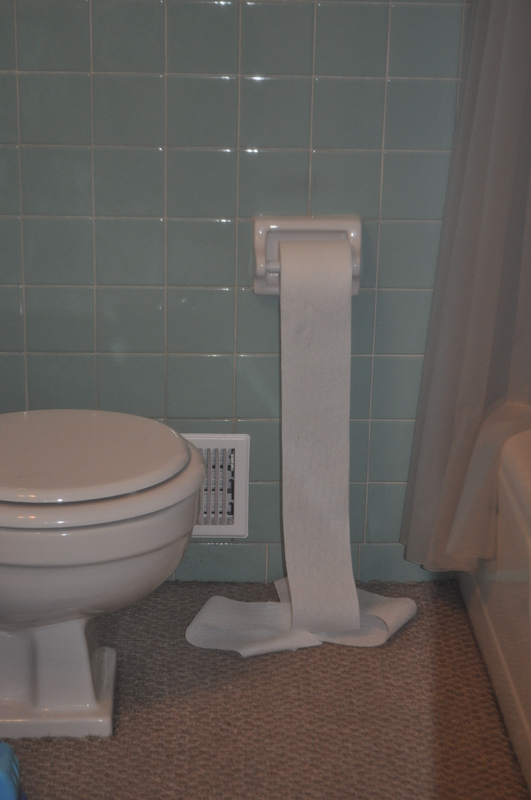 Tom loves this. I’m…a little concerned to realize our entire weekend was sword-fighting related. Go, us! This entry was posted in Alice, Bits, Family, Kevin, Tom. Bookmark the permalink. 1 Response to Bits: Around The House Weekend. ha ha… I love the (almost) matching pjs. Will you have time for a birthday get together?